I hear this all the time. 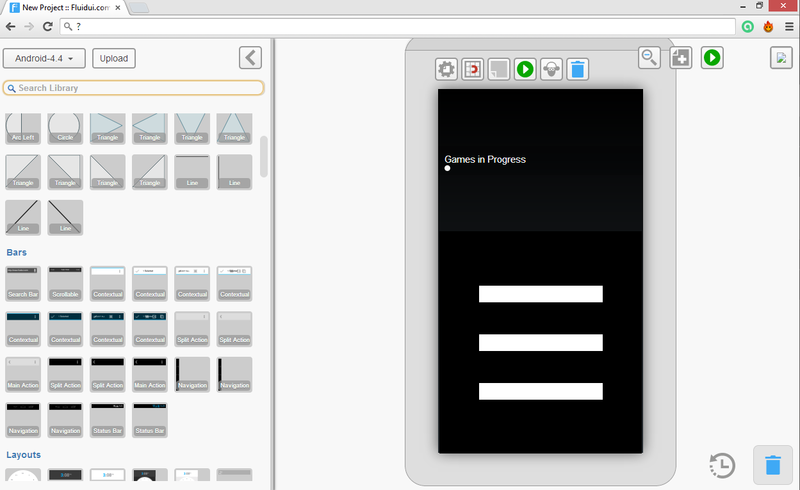 Hardly a week goes by when someone hasn't come up to me and said ''I have this idea for an app. All you need to do is build it. I'll share the money with you if you can make it for me.'' Almost inevitably, the person has spent only a few minutes thinking about the app and hasn't done any sort of background research. It seems as if they think it will only take me a few hours to build, and then, we will release it and become rich instantly. It's almost as if it is a get rich quick scheme. Chances are that we won't make any money on the app (only 2 out of 5 apps make any money at all). Also, there's a good chance that it may already have been developed. So, the first thing I always want to know from a person is if they have even looked to see if a similar app is already out there. There are hundreds of thousands of apps in the different app stores and often someone has already built something similar. Most likely, my friend the ''idea guy'' (or ''idea gal'') has not looked. Regardless of if the app exists out there or not, I'm much more inclined to say I cannot build your app since I now know that you aren't serious about it and you are going to waste my time. So, please, please, please, if you are going to suggest I do a bunch of work on an app for you, check to see if it exists. The next thing worth checking is if this person knows what the going market rates are for app developers. It is very, very high. As in as high as the cost of a professional in other fields - and I do mean lawyer or physician level. A few years ago, talking to people in large US corporations that were contracting apps for their business, I heard rates of $250 per hour for iOS developers. Granted, this is probably on the higher end of the pay scale as large companies don't want to risk inexperienced developers when their brand name is on the line. Yet, the market for riskier, less experienced developers is still higher than most people think. Starting salaries for newly minted college grads at tech companies equate to about $50 per hour plus benefits. And that is for jobs with almost no risk. So, if you want to hire anyone with any experience, pay the premium of contractual work on the side, and the fact that you have to compensate based on the risk of independent development when this person could be guaranteed a safe job at a tech company, you can expect the rate of $100 - $150 an hour. That's right - for your average, limited experience developer in the US, you are looking at over a hundred bucks an hour. You could probably find a cheaper alternative by outsourcing,but that isn't without its own host of issues. In other words, to make it worth my while to build you your app, I should be expecting to make over $100 per hour of time I put into building it. And yes, it will take longer than you think. So even if you are splitting revenue with me instead of paying me for my time, I am expecting to make a few thousand dollars for a simple app. Costs vary a bit based on app stores, but often it costs $99 a year to put an app on the marketplace. Then you still only take about 70% of the costs of the app. So, for a $0.99 app, you need it to be downloaded about 3,000 times for it to be worth my time - and that still only pays for the developer. So if the ''idea person'' still thinks the app is worth it and will sell thousands of copies, the next thing I want to know is how much he or she has thought about it. I want to know if he/she has thought in depth about the building of the app. Almost invariably, I immediately get a response along the lines, ''Well, I don't know anything about building an app! That's why I'm talking to you!''. Yet, everyone has used numerous apps on their phone. If you pay attention, they are often quite similar. You may not know what an API is, but you can recognize that the menus are fairly standard across apps. If your app is going to have a menu, you don't need to know how to code that up, but you can still figure out where it is. What I want from a person is a prototype or a mockup of some sort. I'm not picky, but I want to see that you have thought about it and can tell me all the functionality of the app. There are a lot of ways to do this. You can use PowerPoint and just have a simple diagram on each slide that shows what the app will do for each screen. You can use a bunch of Post-it notes. Or if you want to be a little more professional (which will convince me that you are sincere in wanting to build this and encourage me to help you), you can use an online tool such as Fluid UI. Just show me what happens in the app. That's all. When you first click on the app, what happens? If there is a menu, make a simple menu that shows all the buttons. It doesn't have to be perfect. It can just show me what you expect to happen and make sure we are on the same page. If you have a menu, what happens when you click on each one of the options? Does it take me to a new screen? If so, draw a simple diagram of what will happen on that screen. Do that for all the functionality of the app. You have used an app before. You know what they have. I just want a starting point for a conversation. Fluid UI example. As you can see, it is drag-and-drop functionality in your web browser. Simple to use and shows you are serious. If you have mocked up an app, it is a million times easier for me to understand what you want it to do and estimate how complex it is to build. From there, this is where the developer's expertise comes into play. I can look at your mockup and say things like ''Maybe we could split this screen into two screens...'' or ''I think it would be better if we used a menu here. It will be a lot easier to build and users will understand it better.'' I don't need perfection for this wireframed app. I just need to be on the same page. Otherwise, I could spend hours building something and it could be not at all what you wanted. That just wastes everyone's time and makes you angry at me. Also, this shows that you have put work into your idea as well - instead of me doing all the work (sans idea generation) for only some of the money. See if it already exists. Calculate how much you actually expect it to make. Draw up how every screen will look and how you interact with them. Then, you and I can talk about how I can build your app and what we will do when we will both get rich. Also, there are a few other things to consider such as how to market your app. And if there are any pictures or graphics, who will design them? The coder you hire will probably not know much about this, so there are some extra costs to think about when deciding if it is worth it.